When the sun is out and you pause the world, the simplest things can become the most precious. For those stolen moments, there is Mr Blue Sky. 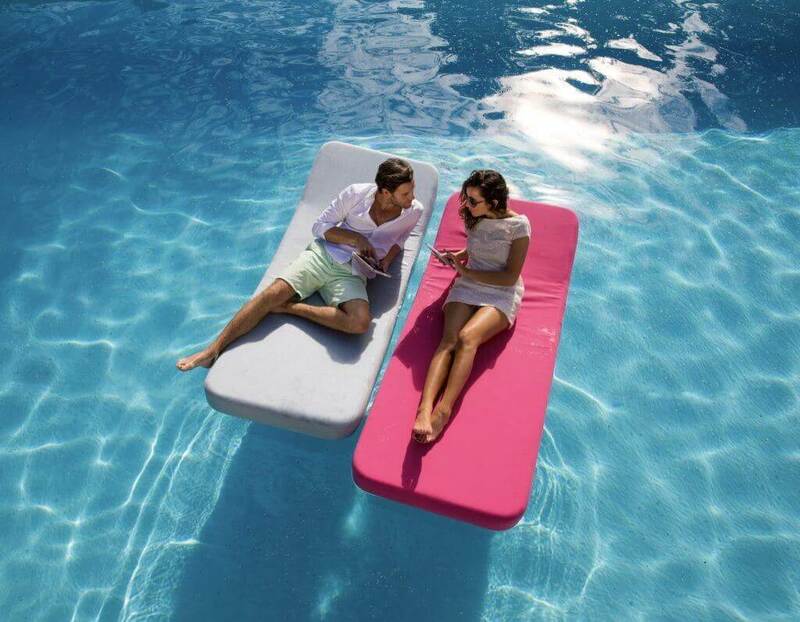 When it’s sunny outside and you want to enjoy the blue sky, our uniquely designed Jackie floating lounger delivers the ultimate relaxation experience. With a classic and chic design, Mr Blue Sky’s foam pool floats are upholstered with easy-to-remove and all-weather resistant covers, offering true floating perfection. 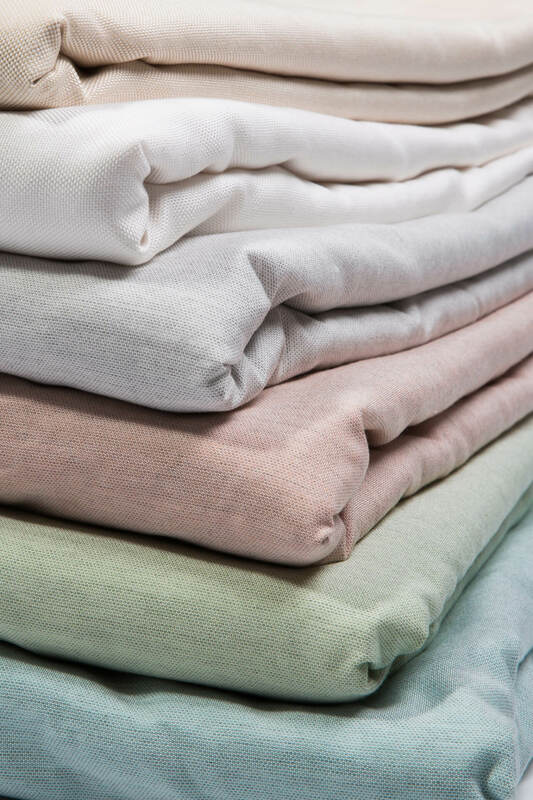 • Sunbrella® fabric, making them strong, durable and suitable to be used year-round. Want to continue relaxing with a good book and a glass of Champagne? 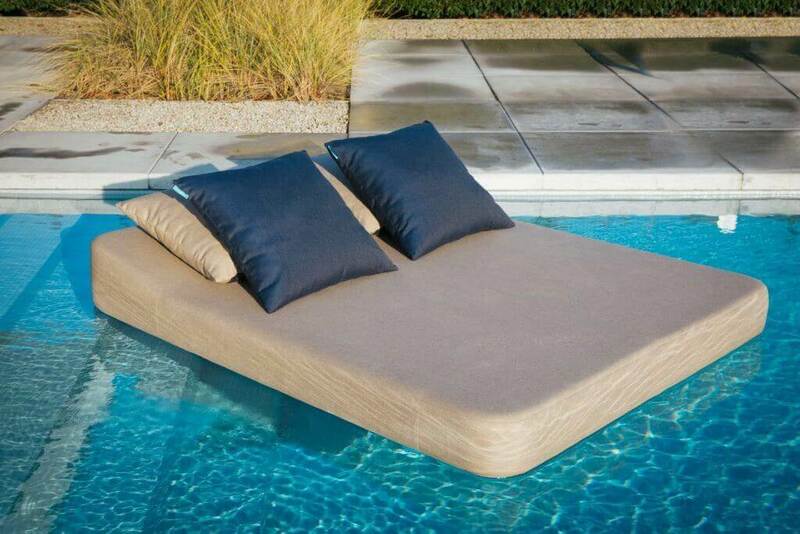 Just flip your lounger on our premium daybed base and enjoy the luxury outdoor furniture your garden deserves. Opt for Mr Blue sky’s matching outdoor cushions and blankets. Made of premium fabrics, they are resistant to water, light and chlorine.